Multi-layered foam padding provides excellent protection from the hardest kicks, covered with durable synthetic leather. 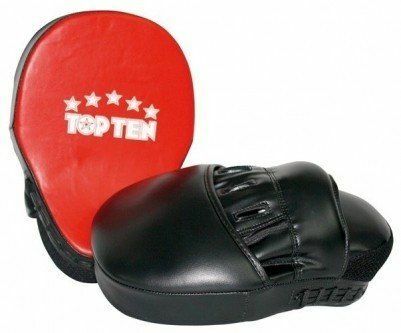 Super lightweight leather Thai Pad with comfortable straps and padded support. Boxing focus mitts and martial arts kick shields and strike pads are ideal for developing your power, accuracy, and combinations both stationary and on the move for any style of martial art.